At Bop Design, we build, implement and analyze creative, professional websites for our clients. Whether you’re exploring the process for the first time or need to explain designs and results in layman’s terms, we’ve compiled core development and analytics reporting definitions to better understand a website’s construction and performance. 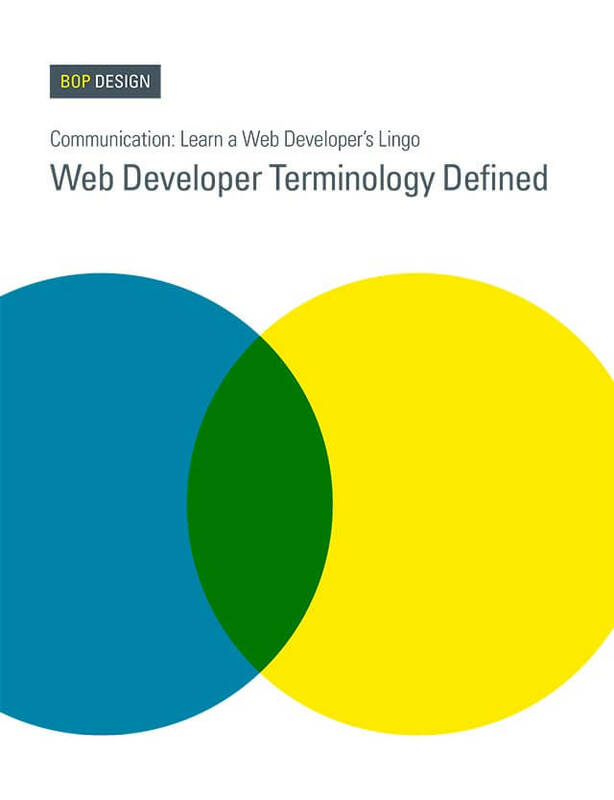 Download today the Bop Design “Web Developer Terminology Defined” white paper to better communicate with webmasters.